ZurTro Lures is locally owned and operated in Nanaimo, BC, Canada. 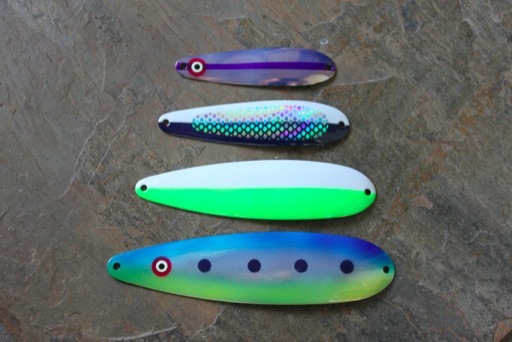 Our goal is to provide high quality salt water fishing lures to sport fishermen on the west coast of British Columbia. ZurTro spoons are hand painted and assembled in Nanaimo, BC, Canada. All ZurTro spoons have a highly scratch resistant UV coating.